Animal control officers rescued 66 sickly snakes from an apartment in the Baltimore area, some of which were 10 feet long. The animals were dehydrated and infested with mites, officials said. Authorities found the majority of the snakes on Tuesday after a neighbor called complaining of a foul odor. A day later, officials rescued additional snakes from a different home in the same area. It is not known whether the cases are related. 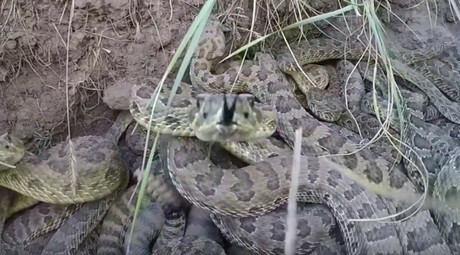 Animal control officials said that most of the 66 snakes that they recovered had been in very bad health, with three in such a bad condition that they had to be euthanized. "Most of the cages were unsanitary. We removed them for their safety," said Bob Lukiewski, an animal enforcement officer, according to WBAL. "They had mites and things like that. Some of them had decaying rodents inside." The snakes, which included reticulated pythons and boa constrictors, ranged from three to 10 feet long, according to Jennifer Brause, executive director of the Baltimore Animal Rescue and Care Shelter (BARCS), according to Baltimore Sun. Though it primarily serves dogs and cats, her organization is now taking care of the reptiles and helping them recover from mite infestations and being underweight. One of the owners claimed that he was keeping the snakes for breeding purposes, but authorities said there were too many snakes in the home and the size of them – over five feet long – violates city and Maryland laws. Investigations are ongoing and could lead to criminal or civil charges, officials said. 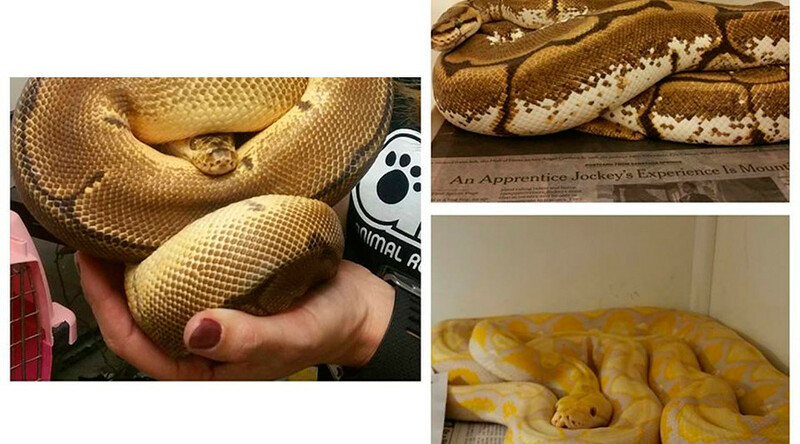 The snakes will remain at BARCS while animal control officers investigate, Brause said. If it is determined that the animals cannot be returned to their original owners, BARCS will put them up for adoption.